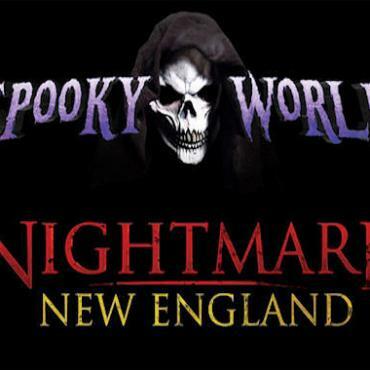 Situated along the banks and forest of the Merrimack River, visitors of Spooky World / Nightmare New England will experience the dark countryside as a central character in this twisted trail of terror. 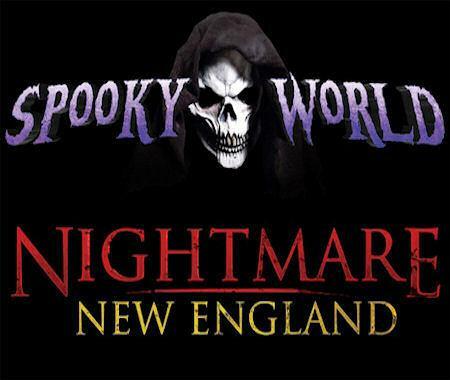 Located in sleepy Litchfield, New Hampshire, this thrilling 40 acre scream park offers something for everyone, with six haunted attractions on location, restaurants, bars and more.The vastly expanded Monster Midway plays host to sideshow attractions, music nightly, Zombie paintball and tarot card readings. Whilst you're there check out The House of Eternal Darkness, Haunted Brigham Manor, Torment, The Colony and Ravens Claw where zombies lurk in the shadows and an eerie fog blankets the crypts!